High speed networking support (Wi-Fi 802.11 b/g) . Facebook and Twitter at your finger tips. As you can see that there is no much difference between Aakash 2 and BSNL Penta TPAD IS701R, still you can find some like BSNL 2G connection and quick delivery of the product. Also Aakash had many problems with the battery life. 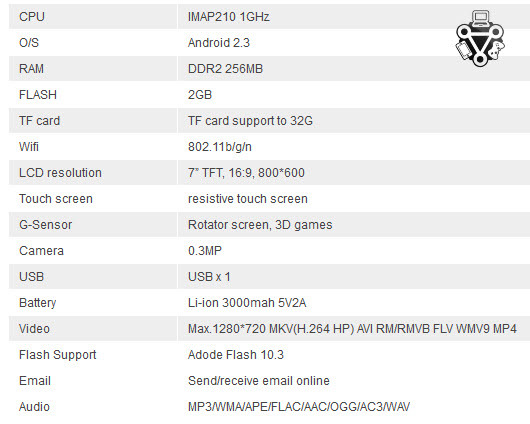 But Penta TPAD IS701R is considered to be good at battery life and also the performance. Aakash 2 commercial version is Rs : 2999 where as Penta TPAD IS701R is just few hundreds more than Aakash 2. You can get your Penta TPAD IS701R for just Rs : 3250. You can pre-book your Penta TPAD IS701R in the official site of Pantal company. You have to just enter your genuine details to get the tab deliverd to your home withing 10 days. With 2G is also there.